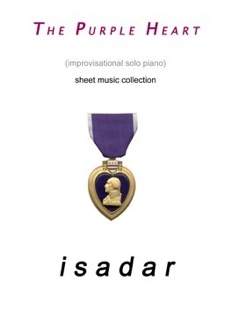 The Journey: Solo Piano Sheet Music Collection is a book of note-for-note transcriptions of the eight improvisations and compositions from Isadar’s 2000 solo piano CD The Journey. 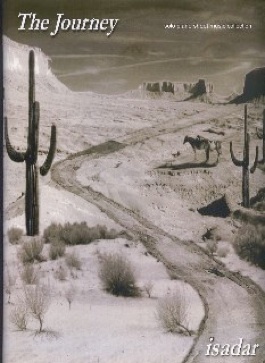 Transcribed by David Shenton of New York Music Publishing, the layout of the music is clear and uncluttered, and the notation includes pedal markings and dynamics that allow the pianist to express the music as closely as possible to how Isadar played it on the recording. A few of the pieces are quite long and require a more advanced pianist who is able to express the nuances that keep the recording so interesting, but several of the pieces are well within the capabilities of upper intermediate players. Some of the rhythms are a little bit tricky, but the majority of the left hand parts are running eighth notes, which make it easier. None of the key signatures are difficult, and none of the chords have a reach of more than an octave, making this music very playable for smaller hands. 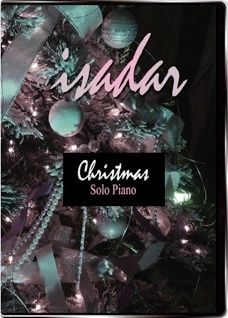 My favorite pieces to play in this book are “Joyful Running,” “Voice of God (Thanksgiving),” “Smoke Signals,” and “End of the Line.” Books are available from isadar.com and Amazon; songs can be downloaded individually as can the complete book from isadar.com Check it out!